This page will detail the stock specs of the Jeep Cherokee (XJ) which was produced between 1984 - 2001 in the United States. That is a remarkable 18 year lifespan in which 2,884,172 Jeep Cherokees rolled off the assembly line! Originally designed and built by AMC, Chrysler continued the same design when they bought AMC in 1987. Anyways, the Cherokee was the icon of compact SUVs which led to a market full of those who tried to imitate it. Now the term "SUV" doesn't really mean a rugged vehicle that actually performs off the pavement, but the Cherokee remains one of the best "utility" 4x4s ever made. On to the specs. The information here should be of some help in identifying what parts came with what year Cherokee. I have made every effort to make sure this information is correct by comparing data from a variety of sources. If you notice any errors or have additional information to contribute, please contact me by PM or e-mail. All XJs were built as a "Unibody" design with the body and frame rails tied together as one piece as opposed to a body on frame design. All XJs have solid axles front and rear. The suspension consists of coils for the front and leaf springs for the rear. All XJs came with disc brakes in the front and drums in the rear. overall length = 165.3" - 168.8"
overall width = 67.9" - 70.5"
height with roof rack = 66.8"
ground clearance (from differentials) = 7.3" - 8.3"
cargo capacity = 71.0 cu ft. The body comes in both 2-door and 4-door styles with a rear hatch (liftgate). In 94 side-impact beams were added in the doors and roof was strengthened. The 3rd brakelight was added to the top of the liftgate. In 96 the body structure was strengthened some although it was not noticeable in appearance. In 97 the body (and interior) was redesigned to freshen it up a bit. Most noticeably it gave the body smoother lines by changing the bumpers, flares, and moldings. The front fender was trimmed just below the headlights and replaced with plastic bumper endcaps that wrap around to the wheel well. The liftgate was also changed from fiberglass to sheet metal in this year. The windshield washer bottle was also moved to the inside of the drivers side front fender. T4 or a T5 may have been used instead of an AX4 or an AX5 due to supply shortages. Torqueflight 904 - 3 speed automatic - used 84-86 with 2.8L V6 engine and ? Front Driveshaft - From 84 thru 86 the front driveshaft was a true CV style ("beer can on a popsicle stick"), 87 + The front is a "double cardan" two-piece driveshaft with a CV joint at the transfer case end. Rear Driveshaft - The 228 and 229 transfer cases used a fixed output yoke, with a 2-piece driveshaft incorporating the slip spline. Otherwise, The rear is a one-piece shaft with standard u-joints at both ends. The slip yoke is located on the output shaft of the transfer case. On 84-95 models, the yoke slides in and out of the transfer case and is lubricated by the ATF fluid internally. On 96-01 due to a design change, the slip yoke is external (does not slide in and out of the transfer case). This slip yoke is covered with a rubber boot. Dana 44 non c-clip - 30 spline, 1.31" diameter shafts, 8.5" ring gear, 2.75" axle tube - used 87-89 on XJs equipped with towing package. 4.10 - used with 2.5L engine usually, and older XJs with the "Off-Highway Vehicle" package. Open style - any normal cooling system used today. Opposite of closed style described below. Closed style - has no radiator cap and utilizes a pressure bottle. This style cooling system was used in 87-90 XJs. Drivers side airbag (mechanical) was added in 95. Passenger side airbag was added in 97. Airbags changed from mechanical to electronic in this year also. Here is a chart to help you figure what length your arms need to be at certain heights. Control arms lengths are important for castor and location of axle in the wheel wells. At 3", you will be ok with stock arms, just expect the axle to move back toward the cab a little and some minor bumpsteer. I tell you what ,i absolutely love this. Great work. 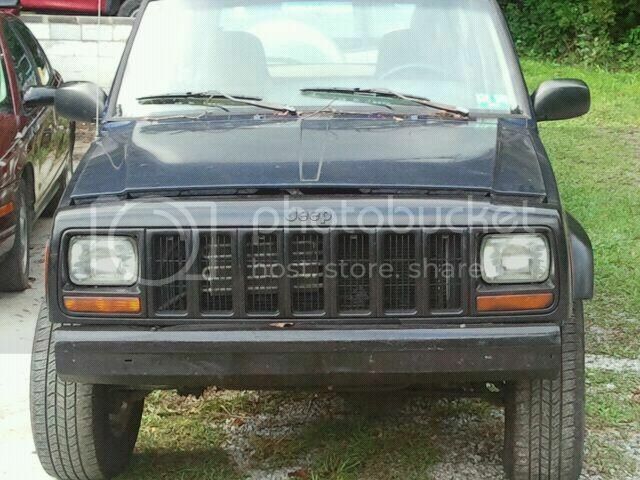 92 jeep xj, Misc. 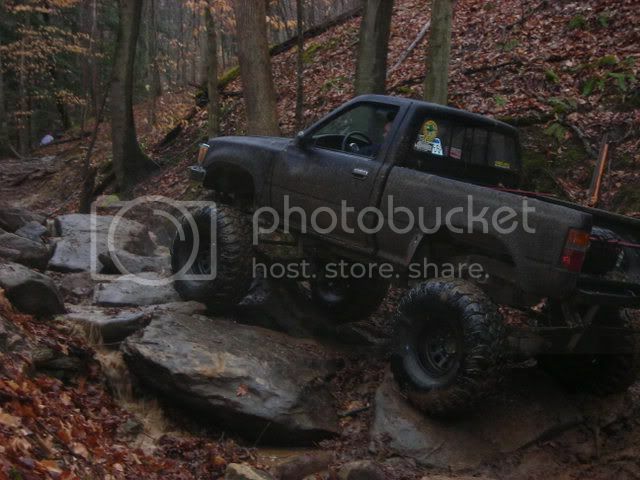 4.5 lift, tj flares, 35" km2s with Procomp steels, 10k Champion quick mount winch Sold. Thanks for taking the time to all that to print. Big Jeff wrote: Super Job there Yotamike. Thanks for taking the time to put all that to print. Great info! especially when i start lifting it.